Cockroaches can carry some serious diseases. Salmonella Typhi, which causes Typhoid, has been found in cockroaches. Poliomyelitis, which causes Polio, has also been found in these insects. All City Pest Management understands the negative impact pests can have on your business or household. Our key philosophy is reduce your distress as fast as possible with advanced pest control services. Whether it be anything from Cockroaches or rats, pests can cause diseases and damage property. If not dealt with immediately, reparation can be costly. Rest assured we are here to help and produce successful pest free results. 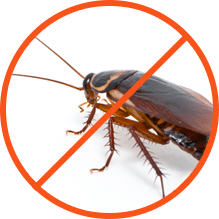 For Cockroach pest control in Wollongong, All City Pest Management should be your first point of contact. Call Cockroach Pest Control Wollongong on 1800 754 797 NOW!